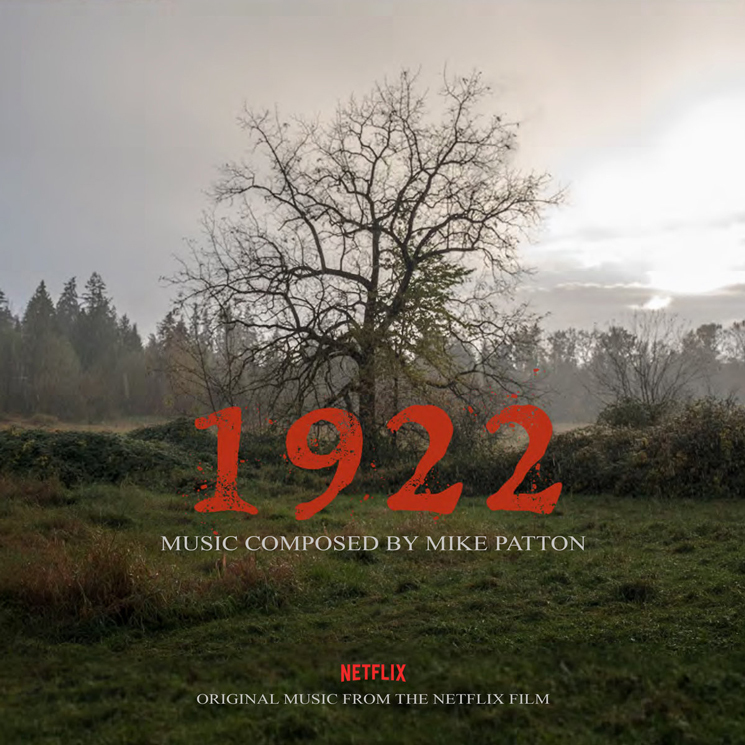 Last year, Mike Patton lent his scoring skill to a Netflix film adaptation of Stephen King's 1922. Now, he's teed up an expanded edition of the soundtrack for a proper OST release. Patton's 1922 (Original Motion Picture Soundtrack) will arrive July 20 through Ipecac Recordings. It follows his score for The Place Beyond the Pines. Based on King's 131-page novella, 1922 follows narrator Wilfred James, who admits to killing his wife alongside his son in Nebraska. As his life begins to unravel after burying her body, James becomes convinced that his wife is haunting him. The score is available for pre-order on "hardwood" coloured vinyl, in addition to CD and digital formats. You can hear Patton's "Sweetheart Bandits 2 'We All Get Caught'" in the player below. Patton recently released a surprise EP with Dead Cross. 14. "I'd Come To Hate Her"
16. "Secrets Only A Dead Woman Could Know"
21. Sweetheart Bandits 2 "We All Get Caught"